​The 308 is one of America’s favorite rounds. It has a long service history with the Armed Forces and an even longer history in the hands of sportsmen. ​The 308 Winchester round is a full powered rifle round that began the trend of short action, full-powered calibers. The 308 is designed for moderate to long range shooting and can reach out to 800 yards. ​Now to reach out to 800 or even a 1,000 yards with any kind of regularity or efficiency you’ll need a few things. The first is a good load of 308. One that’s consistent and accurate. The second is a good rifle. One that shoots straight, and is made for accuracy. The third, arguably most important is a good piece of glass. A good scope makes a big difference and will be one of the most important decisions you’ll make. Not everyone needs to reach out to 800 yards. 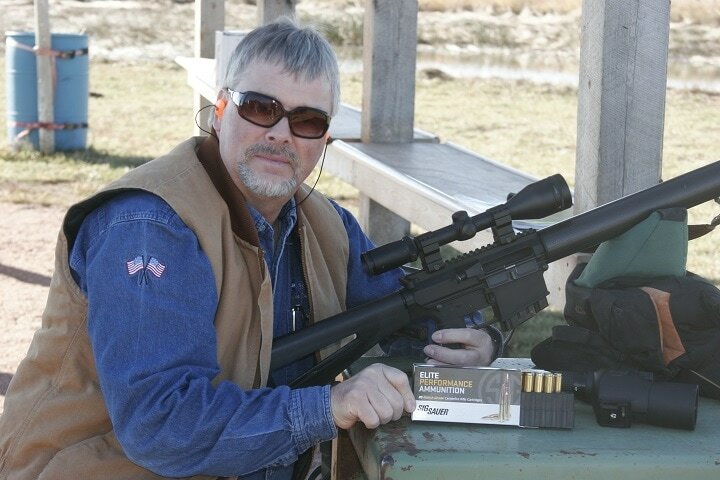 The 308 Winchester is a fantastic round for any range at or below 800 yards. You’ll still need a good, high-quality scope to reach out and touch your target. With tons of optical options out there choosing a reliable scope can be tricky. Luckily, you came to us. We’ve gathered the 8 best scopes for 308 rifles. The Nikon M 308 is a fantastic choice at an excellent price. If you can’t guess by its name the Nikon M 308 is designed for the 308 Winchester round. It’s designed for long distance engagements and provides shooters with a very simple to use bullet drop reticle. 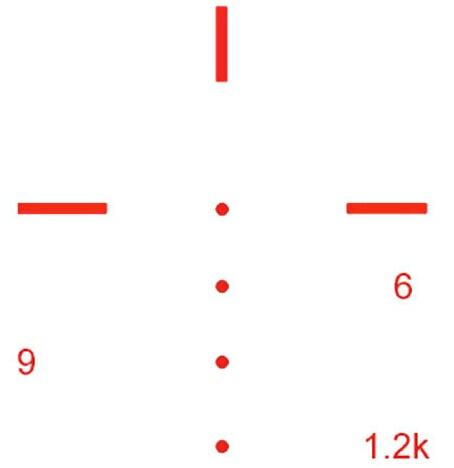 A ballistic drop compensating reticle is a reticle that’s designed around a specific round. What it does is compensate for drop over different distances. This gives you scope integral points of aim out to specific ranges. The Nikon M-308’s BDC 800 reticle goes out 800 yards. If you are shooting at targets at 500 yards away, you simply place the 500-yard reticle portion on the target and pull the trigger. If you have some basic shooting skills you’ll hit that target. The Nikon M 308 is a high powered optic with a variable magnification that ranges from 4 to 16 power. 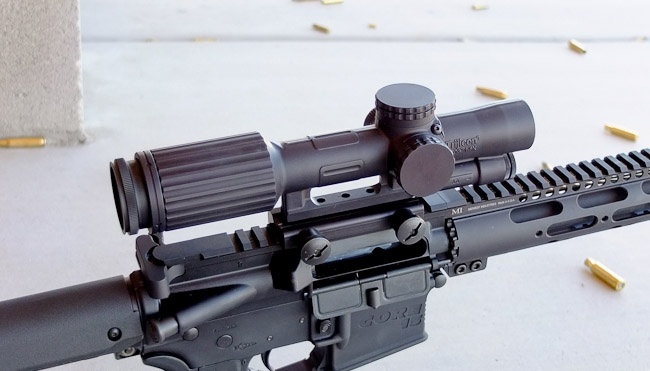 The optic utilizes a 42mm objective lens, which allows you to keep the scope mounted low and still be big enough to provide a crystal clear picture. ​The price of The Nikon M-308 4-16X42mm riflescope varies, so check the latest price at Amazon. In 1969 I mounted the Leupold 3X9 X 40 Gold Ring on a Winchester Model 70 in 30-06 and have never re zeroed the scope right up to this day. Leupold builds some quality field optics for deer hunters, and in this case the 308 Winchester fits the mold to perfection. 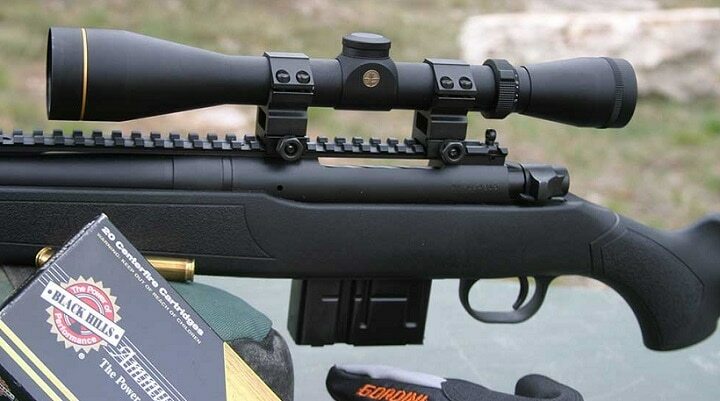 As a welcomed receiver to mount this glass on for big game hunting both the cartridge and scope are a dead on perfect match when shooting from 50 yards to 400 yards when required. Designed using ¼ moa elevation and windage adjustments the turrets are adjustable and capped off so as to eliminate any chance to develop possible zero change when moving about in the field. The glass on this rifle is of a quality level that eliminates ring color changes at the edges, and also offers a clear image to workable game harvesting ranges. As designed the Leupold VX series will fit the needs of deer and other big game hunters addressing targets with workable ranges as applied to the 308 cartridge. I have mounted this glass on both turn bolt rifles and also M-10 type AR long action rifles. Both carry the mounted scope well with good balance when shooting off hand at running targets. The price of Leupold VX-2 3-9X40mm With Duplex Reticle scope varies, so check the latest price at Amazon. This Primary Arms First Focal Plane scope in matte black finish is a powerful optic that is an excellent option for long range hunting. The Primary Arms FFP utilizes their own ACSS Orion reticle that’s tuned specifically for hunting deer, hogs, and coyotes. The round is also calibrated to the 308 caliber round, which makes taking those long-range shots precise and deadly. 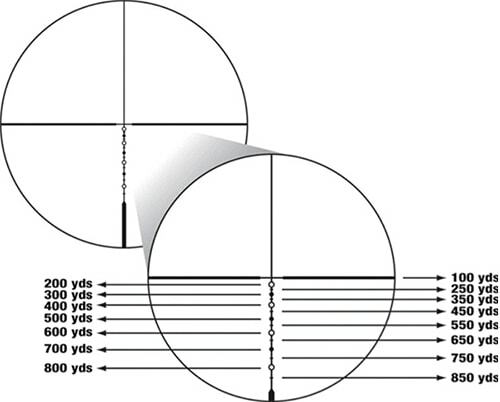 The first focal plane nature of the rifle scope means the measurements for the BDC and built-in rangefinder are accurate regardless of the magnification level. The Primary Arms FFP is also backed by a variable magnification that ranges from 4 to 14 power. It utilizes a 44mm objective lens for a clear and consistent picture. This is likely the most affordable FFP scope on the market. The Primary Arms FFP rifle scopes also utilize ¼ MOA turret clicks, which are slightly larger than I’d expect for a long range scope. That being said they are still adequate when it comes to hunting. The built-in rangefinder takes some practice, but is simple to figure out, and quite reliable. The price of Primary Arms FFP scope varies, so check the latest price at Amazon. 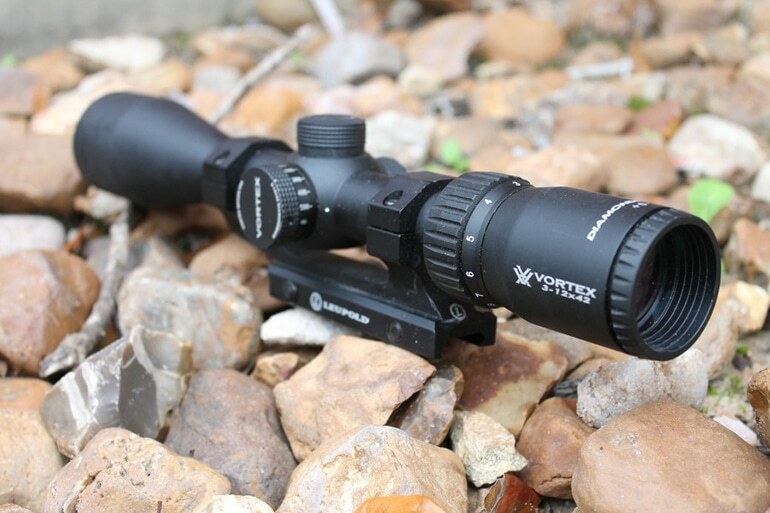 The Vortex Optics Diamondback is a premium scope that comes at a great price. The Diamondback is a shockproof, waterproof, fog proof, rugged and ready scope designed for the great outdoors. Vortex’s commitment to quality and durability is one of their best selling points. It’s not there only selling point though. The Diamondback offers 3.1 inches of eye relief so the recoil of the big 308 isn’t going to give you scope eye. 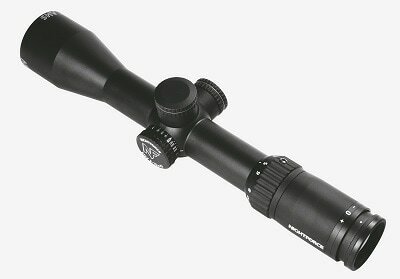 The scope also offers a 4 to 12 variable magnification range but remains compact and lightweight. This is the scope you need if your idea of a good time is hitting the trails bright and early to hunt the local fauna. It’s rugged, lightweight, and precise. The Dead-hold BDC reticle offers shooters a multi-caliber BDC that a shooter will have to dial in themselves. Some may consider this a downside, but to me anytime I need get to send lead downrange is a joyous occasion. 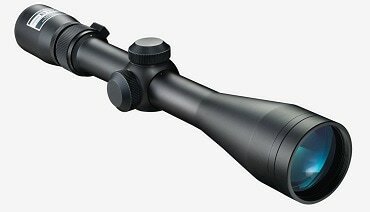 The price of the Vortex Optics Diamondback scope varies, so check the latest price at Amazon. This rifle scope is on the larger side, but as applied to most 308 caliber rifles the optics are a good fit for a 1000 yards. 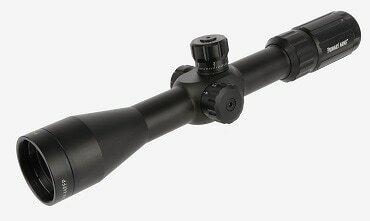 This scope retains the 30mm tube that stays lots of larger and heavier duty components. Following models depending on specific magnification are available within the Engage scope series.. This scope measures 18X5X4 inches and comes at 2.21 pounds. 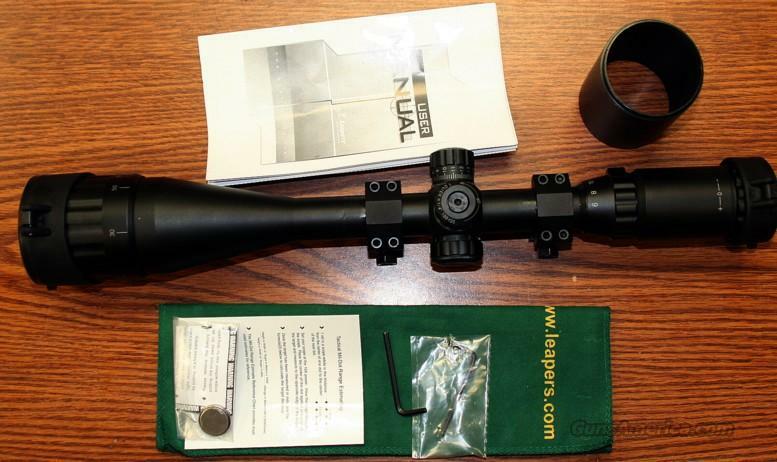 The large glass of this scope is a perfect fit for the long range hunting rifles. The scope makes use of a lighted reticle, m.o.a. reticle as in sub - tensions, and zero reset with a locking turret. Glass quality is excellent, and Bushnell is now advancing into the better grade scope market at light speed. 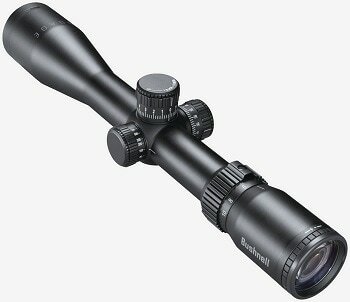 In terms of overall quality of scope, this unit is mid range priced with better grade optics and controls. And it also has a lifetime warranty. The price of the Bushnell Engage rifle scope varies, so check the latest price at Amazon. 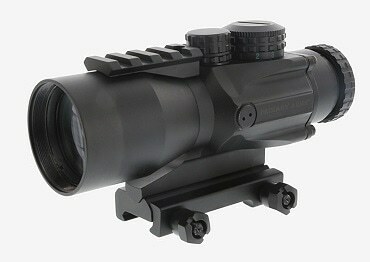 This is a great eastern state close range scope, well designed for AR platforms or smaller carbine 308 caliber rifles. 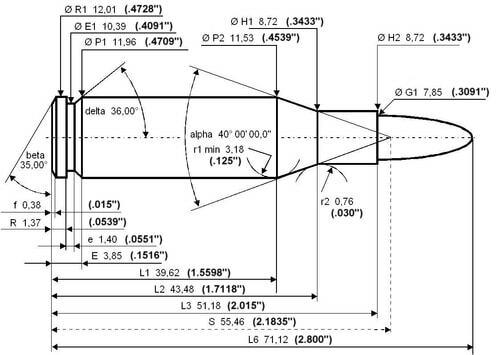 Because AR's require lift risers much of the time due to their low flat receiver rails this Leupold model is preset up for just this required design. Like many other optics companies, Leupold has had to step up to the plate big time to stay with the flow. 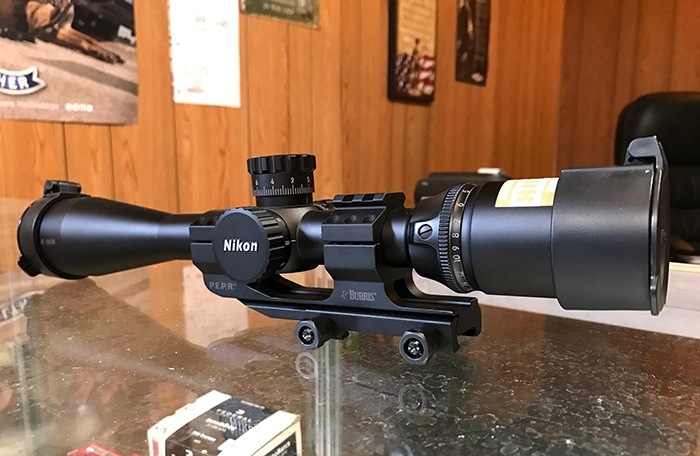 Being made with all American components, and offering a good deal of quality for the price, I recommend this scope for hunting in the east of the Mississippi River. 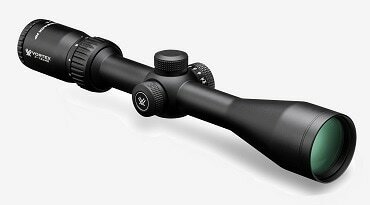 The price of the Mark AR Mod VX-3i scope varies, so check the latest price at Amazon. This UTG scope retains a mil-dot reticle with ranging rings. 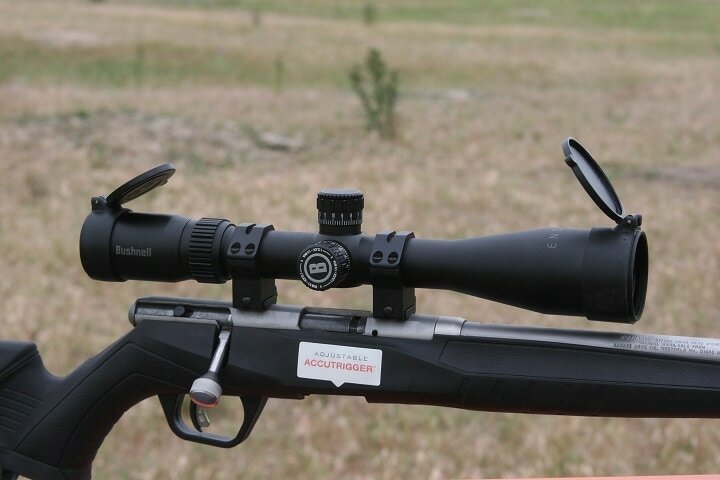 This scope is an entry-level glass sight system for full-size centerfire rifles ( 308, 6.5 Creedmoor by example). The unit is waterproof, fog proof and shockproof. It carries true parallax adjustments from 10 yards to infinity, and also carries a parented EZ--TAP illumination enhancing system for low light conditions. There is a good deal made of the colored reticle ( lighted ) system on this scope, but not a great deal stated as to optical quality. Given the price of the unit the glass can be adequate, but not in the upper level of optics offerings. A starter model priced to sell to be sure. The scope comes as a package with a complete high-quality Picatinny / Weaver rail rings set and a 3” sniper style sunshade with flip-open lens caps. This would seem to be a nice package for both long range starter kits, and general 100 through 300-yard big game applications under general field conditions. Some woods and some open country application would apply here. 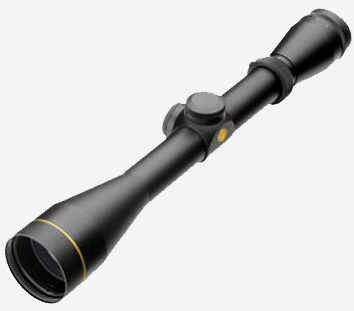 The price of the UTG 6-24X50 scope varies, so check the latest price at Amazon. 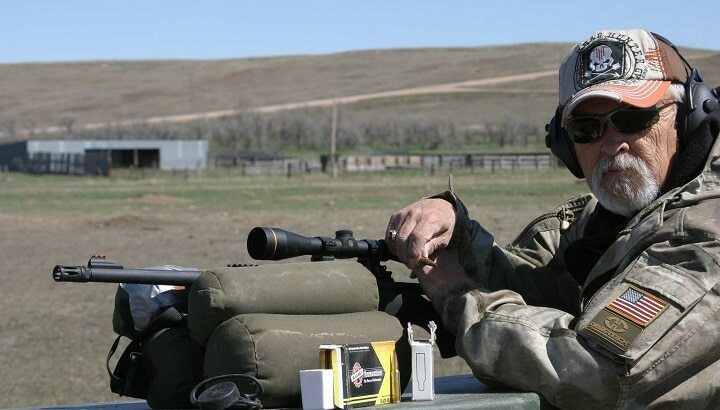 The ACOG series of rifle scopes are some of the most dependable and reliable optics every created. 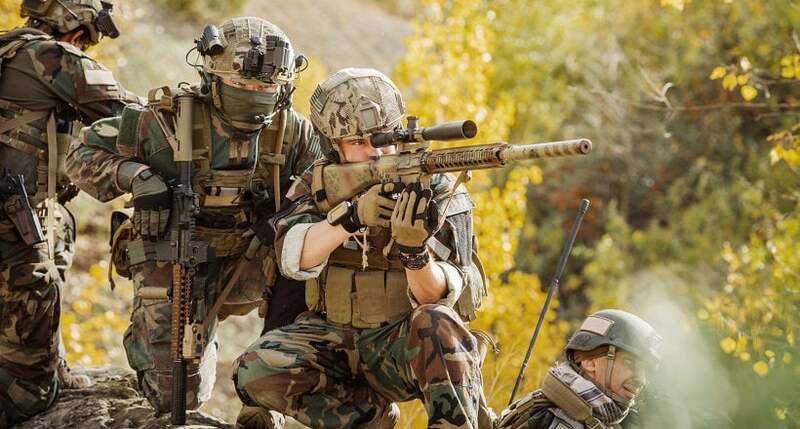 Trijicon serves with the United States Marines, and the United States Army, and has for most of the war on terror. This particular model is designed for the 308 and is perfect on rifles like the M1A, the AR 10, and other designated 308 tactical rifles. The Trijicon TA55A is a 5.5 power ACOG that takes advantage of the 308’s long-range capabilities. The large 50mm objective lens also helps create a nice wide field of view and gives shooters a nice clear picture. 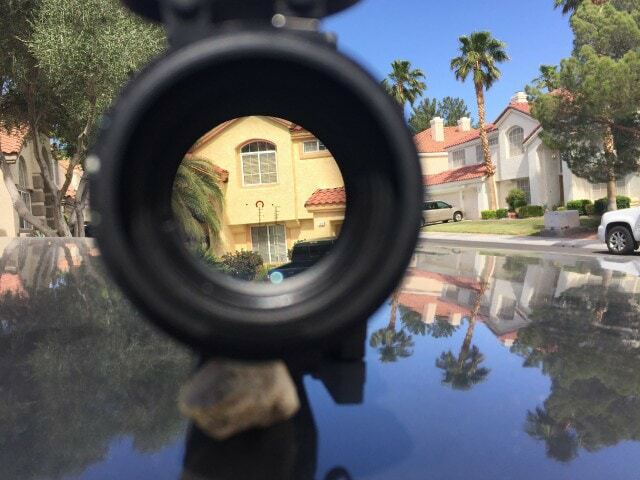 The ACOG does utilize a BDC reticle and is dialed all the way out to 1,200 meters. 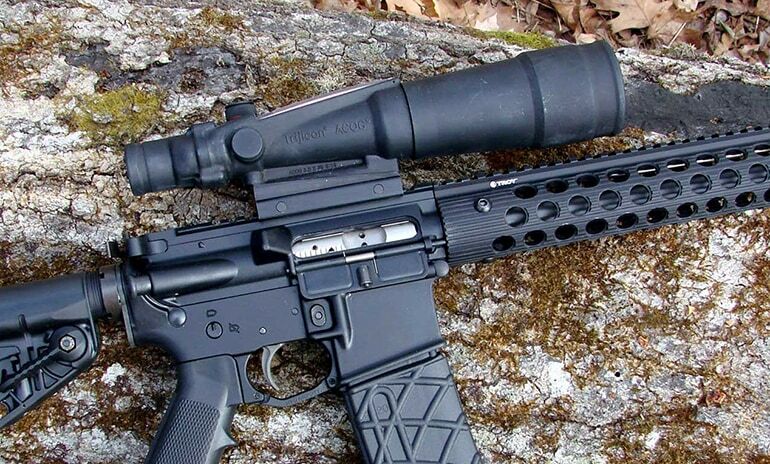 Hitting something at that range takes some real skill, but with this optic it is possible. The ACOG makes use of tritium and fiber optics to provide you with an automatic adjusting illuminated reticle. The ACOG is a pricey optic, but man it is a tank. The price of Trijicon TA55A scope varies, so check the latest price at Amazon. If the ACOG is priced a bit high-end for you, but you like the idea then the Primary Arms 5X Prism scope may be the perfect optic. This 5 power optic utilizes a very similar design. It's a fixed power optic and incorporates a 308 BDC. ​These scopes do utilize batteries over tritium and fiber optics. You have 5 different brightness settings and two options for reticle color. You can choose between red and green reticles. Green is easier to pick up, but red is easier to see in brighter environments. 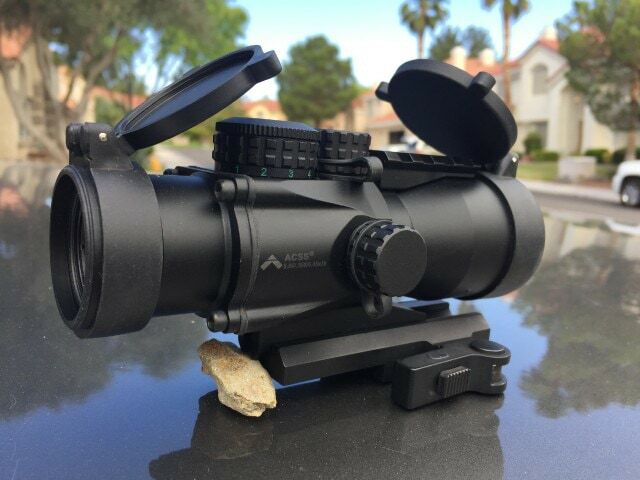 ​The Primary Arms Prism scope is affordable but built to last. Its thoroughly tested and made to stand up to the mighty recoil of the 308 caliber round. It’ll also take a beating in the usage department. The price of Primary Arms 5X Prism Scope varies, so check the latest price at Amazon. The Eotech series of optics are non-magnified holographic red dot optics that are designed for close to moderate range shooting. A 308 is a full powered cartridge, but it may still see some time in close quarters shooting. Rifles like the SCAR 17, the M1A, and AR 10 are all excellent close quarters weapons. If they are wearing an Eotech 552 then they are even more capable in close range environments. 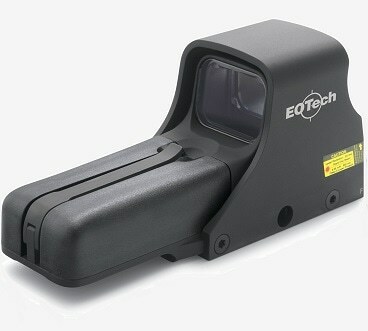 The Eotech 552 is a classic range combat optic that's easy to use, and perfect for shooting fast and straight. The optic is used around the world by military forces due to its reliability, rugged nature, and easy to use interface. The Eotech 552 utilizes a multi-use circle and dot reticle. 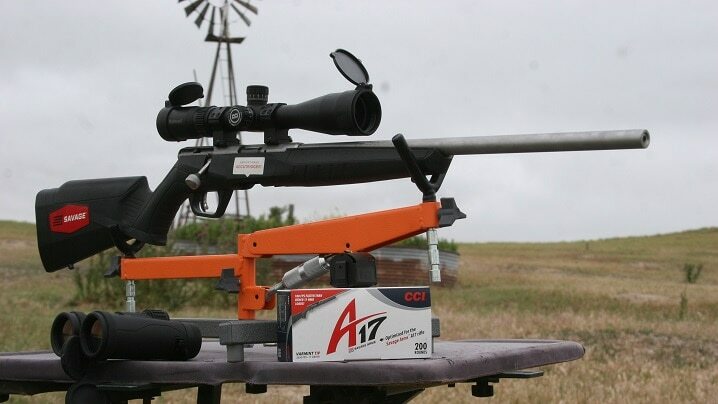 This setup allows easy shooting out to 200 yards with the smaller dot, and when it comes to up close and personal shooting you use the larger circle. The price of EOTech 552 XR varies, so check the latest price at Amazon. Hot off the heels of the successful ACOG series of rifle scopes is the Trijicon VCOG. The VCOG is similar to the ACOG, but also a lot different. 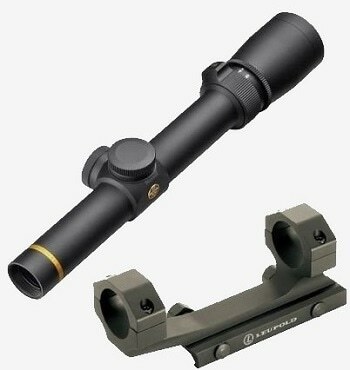 This is a variable powered optic that utilizes a ​1-6x magnification range. It will go through whatever hell you put it through and come out the other side ready for more. The VCOG utilizes a double A battery and the illuminated reticle lasts up to 1400 hours when set to moderate power. The VCOG is waterproof, fog proof and fully submersible, and can be dipped up to 66 meters. The Trijicon VCOG is an impressive optic that's more tank than scope. If you have a go to war 308 then the VCOG is the optic for you. The price of Trijicon VCOG scope varies, so check the latest price at Amazon. 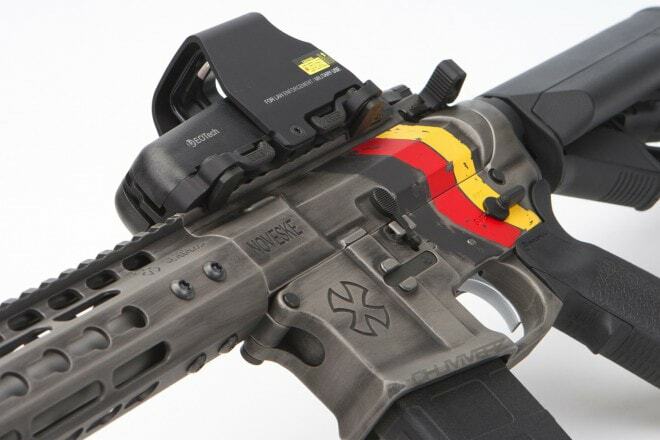 Nightforce is the premier name in rifle optics. 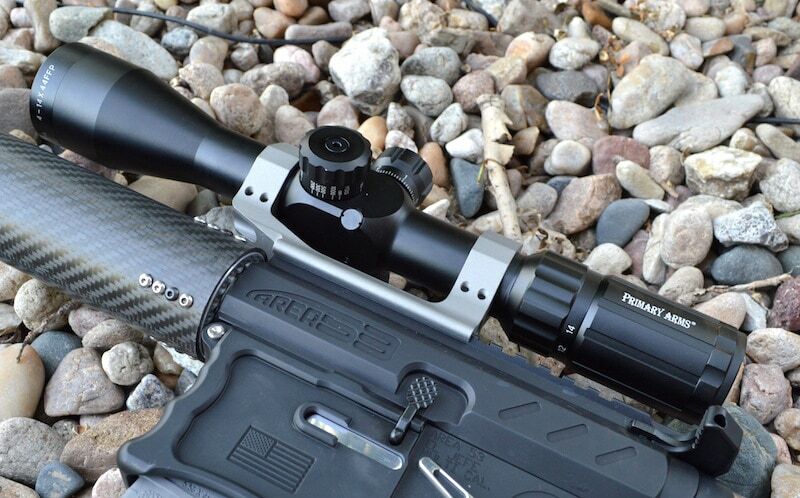 The Nightforce SHV is a powerful, capable, and precise long range scope. Nightforce is the choice of the US Navy SEALs for a reason. These optics are incredibly price and built to last. The Nightforce SHV is a 5-20 powered optic that offers a crystal clear sight picture. The SHV will cut through low light conditions like no tomorrow and is perfect for big range competitions, big game, and of course tactical use. Everything about the Nightforce SHV is designed to be high quality. From the clicks on the turrets to the smooth zoom the Nightforce SHV tries extremely hard to be the last optic you’ll ever need. 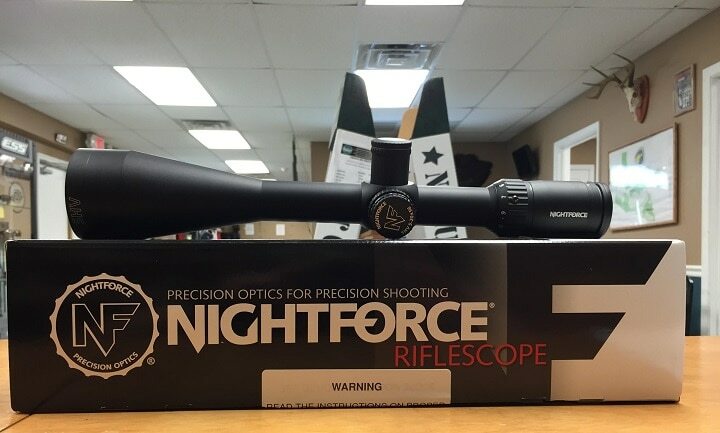 The price of Nightforce Optics SHV scope varies, so check the latest price at Amazon. The 308 is a powerful and capable cartridge designed for big game, tactical use, and competition shooting. The 308 is an excellent round, and with over 6 decades of service, it's not going anywhere anytime soon. You’ll never see the full potential of the 308 on the ground without an appropriate optic even you have your lucky hunting rifle. This scope is designed for some extremely long range shots. This magnification range offers the shooter the ability to accurately take the absolute longest range shots that .308 can allow. Man I got to the end of this and saw you were with 2/2 back in Afghan!I was too! !good to see a fellow marine wrote this!